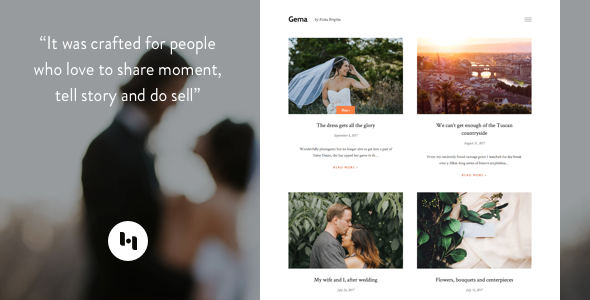 Description: Gema Photoblogger Blogger Templates is al design and perfectly calibrated white space to reduce common distraction, allowing visitor focus on your content. Gema is entirely responsive, which means your content will scale to fit any screen size, from desktops down to mobile phones. Gema is also based on the new v3 framework with show/hide widget capability, and new comment form UI. By purchasing you will get free access to our custom widget (Instagram, Social media, Flickr), truly widget, easy to set up, no code, no headache.